The cars of the 2015 7 September London RM Auction sale. There is some serious want in this video, seriously considering if I need two kidneys, as the temptation to sell one and buy that awesome Porsche 911 993 Turbo S is strong. A really fascinating insight into the history of some of the cars too. 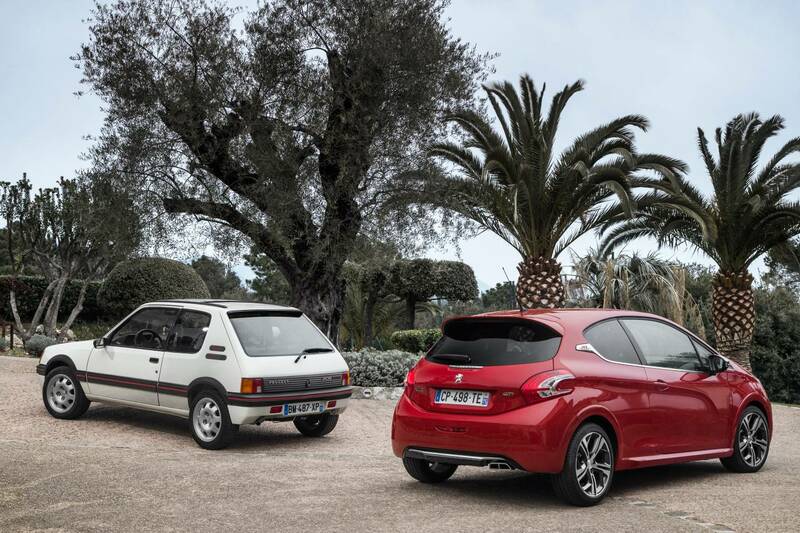 Peugeot 208 GTi for the price of a 205. Now I don't often report on marketing campaigns or indeed brand new car deals but today I'll make an exception thanks to Peugeot and their rather generous offer, I also love a hot hatch. To mark the run out of the last current 208 GTi's Peugeot Australia are offering the final 30 at the same price as their 80's 205 GTi predecessors; $29,500. That means a brand new car for the price of one which pre-dates a heap of inflation and two economic downturns. It doesn't take a genius to work out what sort of deal you'd be getting if you got your hands on one of the 30 cars. The 208 offers far more in terms of driver comfort, connectivity and ultimately performance than the original 205 GTi did at that price. However the jury's still out on whether the 208 is quite as fun as it's back to basics grand daddy down a twisty back road. The last 30 bargain basement 208 GTi's score; a 7 inch touch screen, cruise control, dual zone climate control, bluetooth and aux connectivity, follow me home lights, cornering fog lights and day time running lights to name but a few of the extra's. Things that in 1985 would have been the stuff of future car fantasy. The offer on the last 30 208 GTi's runs until the 21st October or while stocks last, paving the way for an all new 208 GTi in 2016. As for the original 205 I've not done a car of the week feature on it yet, but I feel one is long overdue. This video basically captures the inner working of my mind, every point is just so true, plus it made me laugh. The all new Mercedes Benz C-Class Coupe will soon be with us. Due for public debut at the Frankfurt Motorshow and slatted for release in Australia in 2016, the C-Classes suave sibling is a gorgeous new addition to the Mercedes family. However with a price likely to be on the far side of $60,000 not everyone will be able to buy the brand new Coupe. So this week I thought to take a look at the C-Coupés predecessor, the equally stylish but better priced Mercedes Benz CLK. We have to go way back to 1997 to find the CLK's original release and personally from looking at one you'd be forgiven for thinking it wasn't that old. There is a real timeless elegance to the way the CLK looks, it still has an aura of expense to it in fact, which is good, you can't have your neighbours thinking you bought a cheap Benz can you? There are some beautiful touches to the CLK, the long pillar less doors and the small rear side windows for example create an expanse of glass that really brings the outside in. It's silhouette is classically Coupe like, with the roof sloping gently down to the boot. And with smooth surfaces and no flared or bulging body panels the CLK is a pretty car to behold from any angle, in my opinion at least. 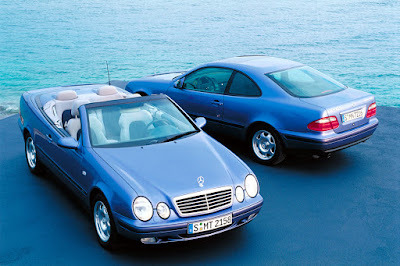 Being a car of the 1990's though the interior is the one area where the CLK might start to show it's age. 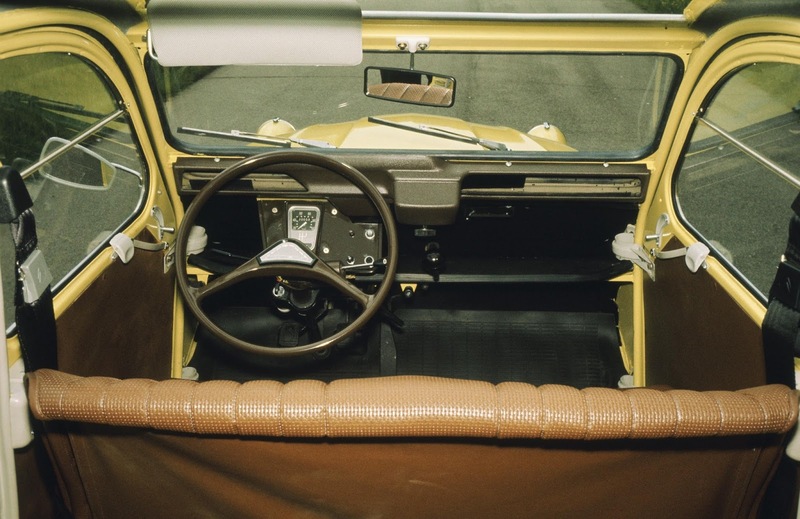 There were no central sat nav screens as standard and everything was a little geometric with an extra side of buttons and faux wood trim, the plastics will feel a little harsh by today' standards too. Standard equipment levels were generous though, CLK's scored six CD auto changers, fog lights, air con, cruise and electric heated mirrors to name but a few and the four soft seats (these could be leather) provided a nice place to sink your bum into and the big arm rest a good place to put your elbow while the car did all the work. Be warned though that said work won't happen fast, the base CLK 200, some of which can be picked up for under $6000 are not remotely sporty. Offering a mere 100kw you'd be hard pushed to outrun a Honda Jazz CVT nowadays. For a modicum of performance best try to find a 230 Kompressor (that's Merc speak for supercharged with 142kw) or better still a 320 V6 which offered 160kw. Road tests at the time were very complimentary of the way the CLK drove too, some called the 320 variant a proper sports coupe and although no BMW beater was capable or rewarding a keen driver with excellent road holding and potent performance. Good bits covered, what's not so fantastic? 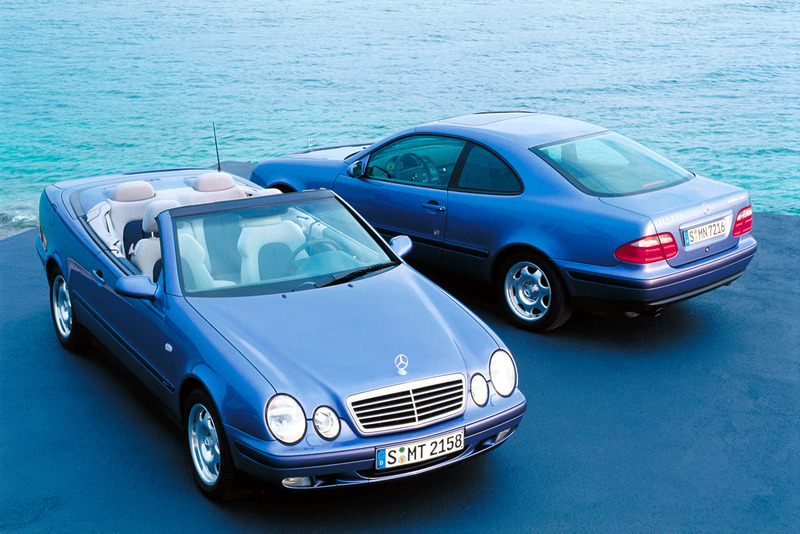 Firstly some of these cars are now approaching 20 years old and have long past their Mercedes Benz bodywork warranty so rust could be an issue. I know for certain that in the damp and salty UK for example the bottom of the doors and around the wheel arches are a particular weak spot for rot. Obviously in Australia the climate may have been kinder to the CLK but look closely. Servicing is another must, like most cars I feature the running gear and engines in the CLK are strong but only if they are maintained at the correct intervals with the right oils and parts, specialists should be able to do this for you without breaking the bank. Electronics are another issue with cars of this age, it's important to make sure everything works as it should and if the cars been cared for there should be no reason for warning lights on the dash. There we go then, the Mercedes Benz CLK, similar in ethos to next years brand new C-Class Coupe but just a tenth of the price. 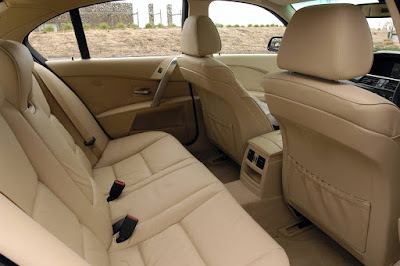 For those wanting an affordable German Coupe you could do a lot worse, yes the dated interior is an issue and there's not a lot of performance, but timeless style and a comfy place to sit makes up for small failings. The car I've picked out this week is a face lifted 2000 model with the desirable 3.2 litre V6. Finished in classic Mercedes silver it looks truly timeless. From the pictures it appears in excellent condition however there isn't much of a description, usually I would say avoid but I get good vibes from this private sales pics so this CLK might be worth checking out if your in the vicinity. Last week I spotted an orange Citroen Ami and given there was no one around to share my excitement with I thought best to share it with you lot and make it my car of the week. However it turns out I'd actually spotted a bit of a unicorn as the Ami was never sold in Australia and is in fact rarer than a politician that doesn't fiddle their expenses. 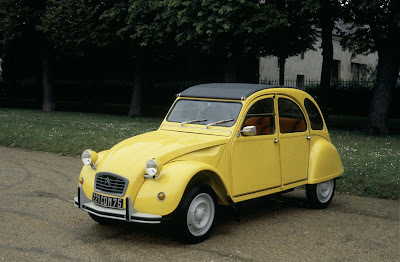 Still eager to feature a French curiosity I decided the car that got the peasants of France moving was my best bet, I give you the Citroen 2CV. 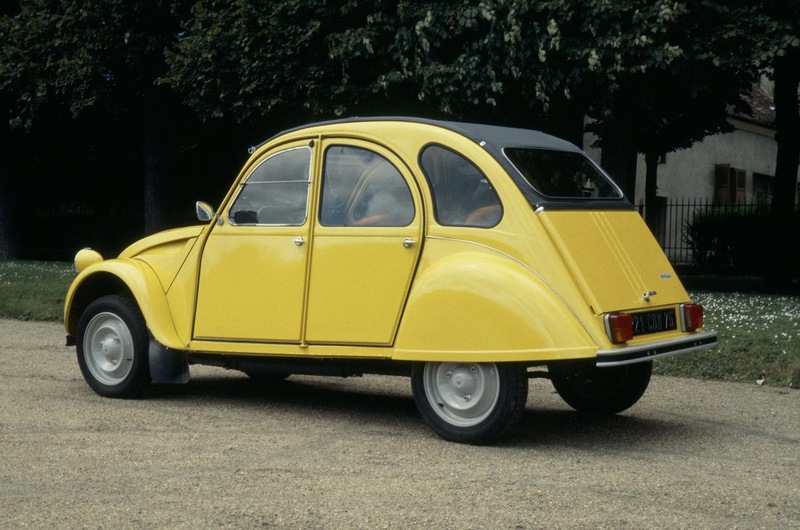 Widely regarded as the French answer to the Volkswagen Beetle, the 2CV was actually a lot simpler than Adolf's peoples car. It was a cheap car not for the middle classes but for farmers to get from the fields (which the car could drive over) to the markets. Early ones were so basic they had wicker bench seats you could pull out to picnic with should you so choose. A simple air cooled engine with less than half a litre of capacity provided all the propulsion the 2CV needed, assuring that the farmers could get to market just a bit quicker than if they had taken their horse and cart. Later cars had all 0.6 of a litre at their disposal. The recipe worked and Citroen shifted close to 9 million cars between 1948 and 1990. By all intents and purposes though the 2CV is an awful car, slow, loud, unrefined and agricultural, on paper it really shouldn't have been a success, but in person it has a cuteness that just makes you say, "Aww". Like other motoring icons of the era, the Beetle and Mini, 2CV's have character and are so ruggedly simple it almost seems cruel not to like it for fear of making it cry. And if proof was needed of just how universal the 2CV is look no further than motoring journalist extraordinaire and skidder of all things Chris Harris, he bought one and seems rather pleased with it. 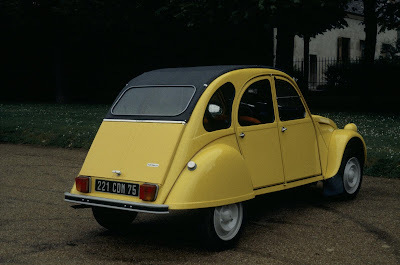 Much like the Ami I spotted though the 2CV was never officially sold in Australia, so out of the 9 million built a mere 6 are for sale at +carsales.com.au right now, all someone's personal import at some time or another. All 6 are probably good in their own charmingly goofy French way but only one is actually a bargain, so I'll pick it as my car of the week. However if you have your heart set on a unique slice of French motoring history I'm sure price is irrelevant, you cant put a price on happiness after all. Ok I am back from my holidays so it is about time I get to updating my little blog and what better way than with an actual road test. I give you the BMW 525i. 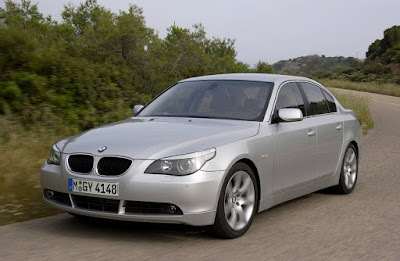 Let me begin with a confession; the E39 BMW M5 is a car on my vehicular bucket list, meaning naturally this weeks car, the flame surfaced E60 didn't draw me in as much as it's classically proportioned predecessor. However that was a worryingly long time ago, 2004 to be exact and since then the years have been favourable to Chris Bangles shake up of the 5 Series. 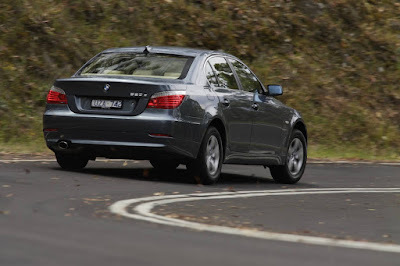 The car manages to pass as a modern sedan and dare I say look more interesting than the current 5 series that replaced it in 2010. The passing of 11 years also means that the 5 now represents an affordable way into BMW ownership and I've been driving a 525i variant to see if this one time ugly duckling is worth your dollar. 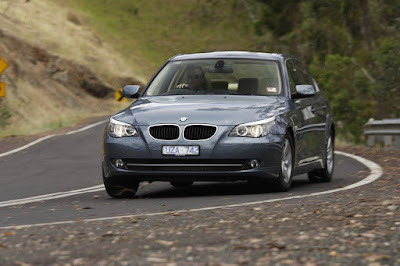 Driving is probably the best thing to start with given BMW's persistence that they make the ultimate driving machine. And I think one word can sum it up; smooth. 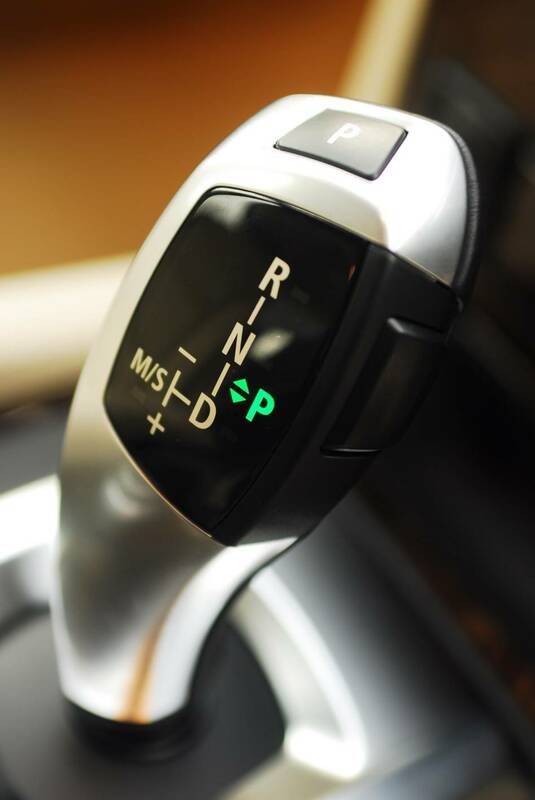 With the gear selector flicked into D the straight 6 goes about the duties of moving the E60 effortlessly, there are no vibrations, no rattles and no intrusive noises, just a surge of power under your right foot to get you where you need to be. 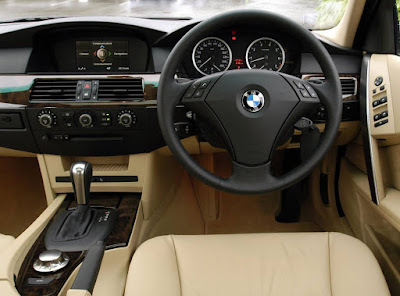 The car feels tightly screwed together as well, with nicely weighted controls and steering which the more committed you become gives greater and greater feedback. Being rear wheel drive means there's a nice balance to the car too, the front wheels unhindered by weighty drive shafts point exactly where you need them, the rears providing the shove to tuck the nose into corners and propel you out the other side onto the next one. However don't expect any hooliganism from the 5, it's no drift machine, there is a lot of grip on offer and quite frankly you'd have to be doing something entirely stupid to lose control of one. I drove it partially in the pouring rain and never once saw the traction control light flicker or feel anything other than total stability. I didn't find the 160kw 525i particularly quick though, yes the rain might have meant I was being very gentle on the throttle, but when the car did kick down I never felt like it could send the scenery outside spiralling backwards. 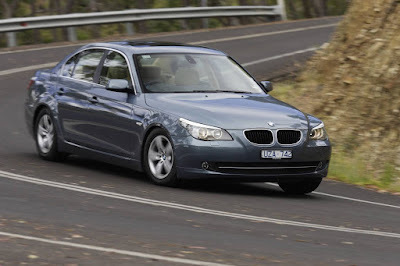 If it is speed your after I'd suggest a torquey 530d or beefier 540i V8. Never the less the smooth quiet progress offered from the 525 still makes it an appealing car. 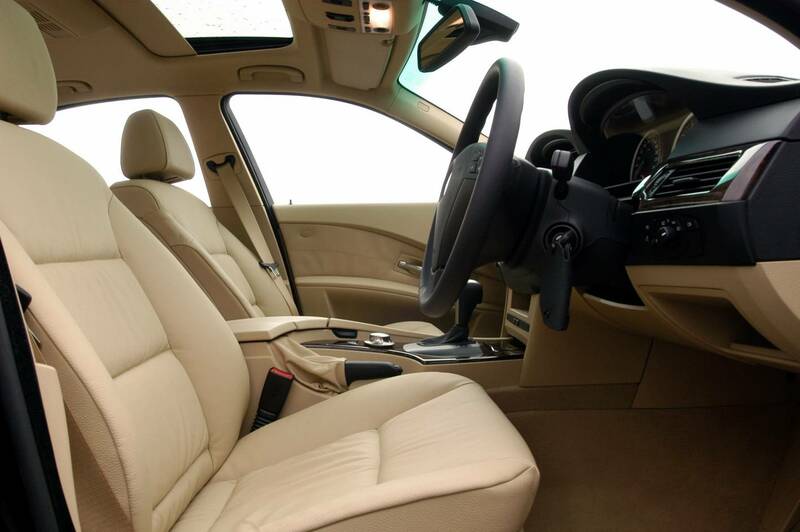 Inside the 2009 car I drove everything had worn very well and like the exterior had aged well too. The dash layout is clutter free, just the A/C and radio controls reside in the centre console and the dials behind the 3 spoke wheel are big and clearly visible. 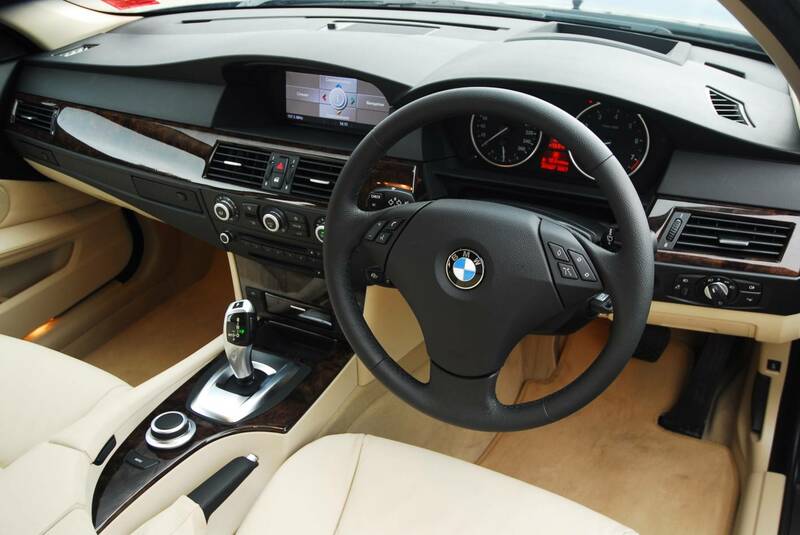 The whole cabin wraps around the driver helping keep up that ultimate driving machine persona too, with lots of leather and in the case of the car I drove swathes of grey wood grain trim on the dash and doors. More traditional wood grain was also available from new. Moving onto seating and there is room for 5 adults to squeeze in, but 4 is far more comfortable. The back proving to be quite spacious with ample head space should one have a particularly vertical hair cut. Up front though is where the 5 really shines, with electrically adjustable supremely comforting seats. These help aid a level of ride quality I wasn't quite expecting, maybe I'm too used to stiffly sprung Audi's, but the 5 series composure over bumps and undulations came as a pleasant surprise. The idrive system was my biggest bug bear, it's getting a bit old and given it was never highly thought of, now in the age of tablets that can replace your laptop it feels clunky, unintuitive and slow. 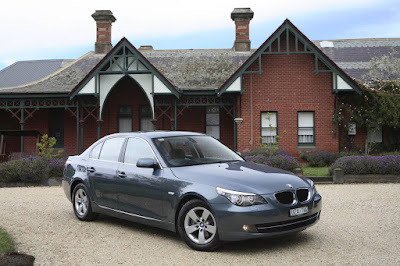 E60's have their fair share of mechanical and electrical gremlins too, any Google search for faults will through up a myriad of issues. The car I drove though had only had issue with rear parking sensors not always working and tyre pressure warnings coming on unnecessarily. So not too bad and hopefully given the age of these cars now a lot of the possible faults will have already been fixed by previous owners and all you'll need to do is regular maintenance to keep the car in fine fettle. 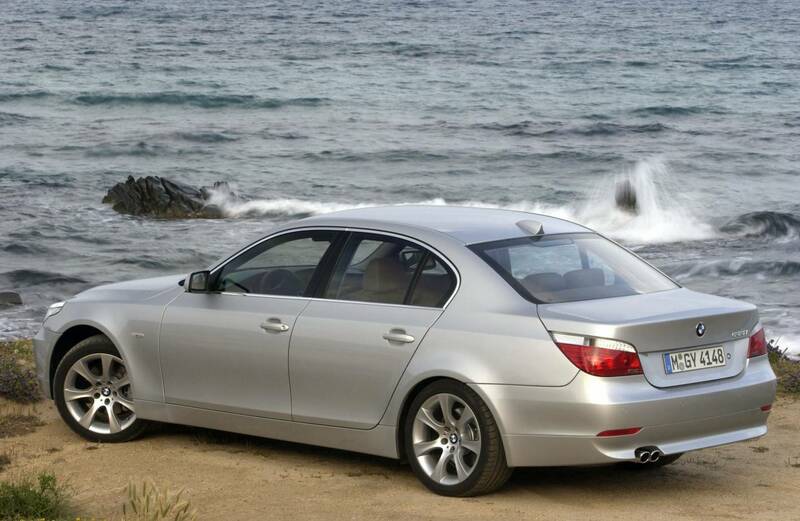 The E60 5 series BMW, a fine and dare I say unconventionally handsome sedan. 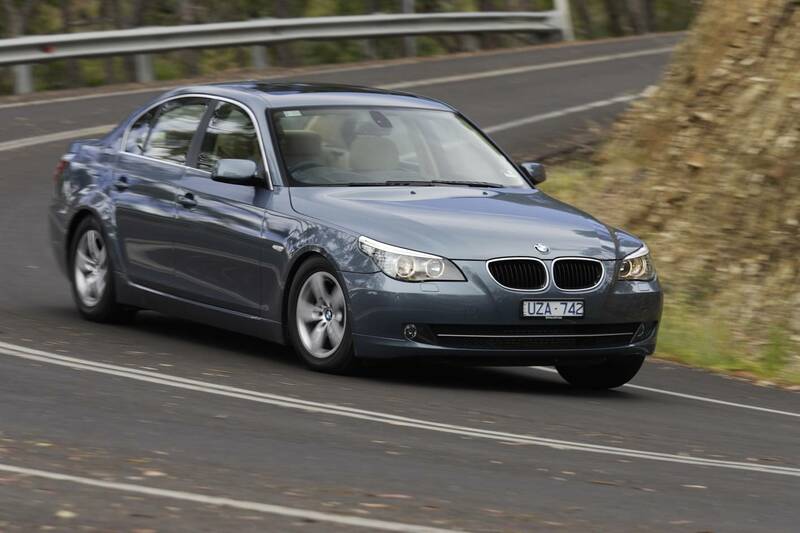 Time has been kind to a car that divided opinion a decade ago and now thanks to prices starting at as little as $9000 the mid size offering from BMW represents a well built, composed and comfy second hand driving machine. This car caught my eye for a couple of reasons, firstly for a private seller the pictures are rather good, shows they put some effort in and no doubt want to showcase how well cared for their car is. Secondly that $2500 repair bill means $2500 you don't have to spend fixing it and everything should be in tip top condition.